Prime Minister Nguyen Xuan Phuc lauded the role of Japan in boosting cooperation and development in the Mekong region over the past years at an interview granted to Japanese media on the occasion of his visit to Japan and participation in the 10th Mekong-Japan Summit Meeting in the country from October 8-10. The PM noted that Mekong countries have gained important socio-economic achievements, making the region one of the areas with fastest growth speed in the world. During this process, the support of developing partners, including Japan, is significant, he said. The partnership between Japan and Mekong region has been realized through both bilateral and multilateral cooperation mechanisms in various fields such as politics, diplomacy, economy, trade, education, health care, environment, and tourism. Japan is one of the Mekong region’s leading trade, investment partner and ODA provider. In the Mekong-Japan cooperation framework, hundreds of projects worth dozens of billions of USD have been successfully implemented, helping regional countries develop transport and industrial infrastructure, train human resources, improve investment and business environment, protect the environment, respond to climate change, narrow development gap and reduce poverty, he said. The PM added that Japan has also supported the building and development of intra-Mekong economic corridors such as the East-West and Southern Economic Corridors. The effective and long-standing affiliation between the Mekong region and Japan has helped promote potential and strengths of economies and create more favorable conditions for businesses of both sides, thus contributing the boosting sustainable and inclusive growth in the region, stated the PM. The Vietnamese Government leader held that cooperation potential between Japan and Mekong countries is huge. He expressed his hope that Japan will continue promoting its role as a partner for “high quality development” in the Mekong region through making full use of the country’s strengths in technology and finance and the Mekong region’s growth speed, market and labor. In the future, the Mekong-Japan partnership should prioritize three pillars of transport infrastructure, energy; soft infrastructure such as institution, trade, investment and people connection; and people-to-people contact. The two sides should focus on realizing a joint vision on a green Mekong through projects and programs on sustainable management and use of Mekong River water resources, smart agriculture and climate change response, he said, adding that Japanese and Mekong enterprises are encouraged to engage in the process. The PM asserted that the upcoming 10th Mekong-Japan Summit Meeting will open up a new chapter in bilateral partnership, matching the growth of the ties to potential and demand of both sides. Regarding the Vietnam-Japan collaboration over the past 45 years, he highlighted that the two countries have become important partners of each other with many shared strategic interests. Bilateral ties, which were lifted to an extensive strategic partnership for peace and prosperity in Asia in 2014, have grown strongly in all fields with closer economic connectivity and strengthened political trust. Japan has been the biggest ODA provider of Vietnam and the country’s fourth largest trade partner. In 2017, Japan became the top foreign investor in Vietnam with total investment of USD 9.1 billion, four times higher than that in 2016, he noted, emphasizing the great economic support between the two countries. Defence, security, culture, education-training and tourism collaboration and people-to-people exchange between the two countries have also been expanded. Currently, more than 260,000 Vietnamese people are living, studying and working in Japan, becoming the fifth largest foreign community in Japan. As many as 37 pairs of localities of both sides have set up partnerships. Last year, Japan ranked third in the number of tourists to Vietnam with 800,000, while 300,000 Vietnamese travelled Japan. The two countries have also collaborated closely at international and regional forums such as the United Nations, ASEAN Plus, APEC, and ASEM. They coordinated in promoting negotiations for and signing of the Comprehensive and Progressive Agreement for Trans-Pacific Partnership (CPTPP) and talks on the Regional Comprehensive Economic Partnership (RCEP), while backing each other to become a non-permanent member of the UN Security Council, and collaborating in regional and international issues of shared concern, thus contributing to building an Asia-Pacific region of peace, stability, development in line with international law. The PM said that he believes that the Vietnam-Japan partnership will enter a new period of development and become more effective, stable and extensive. 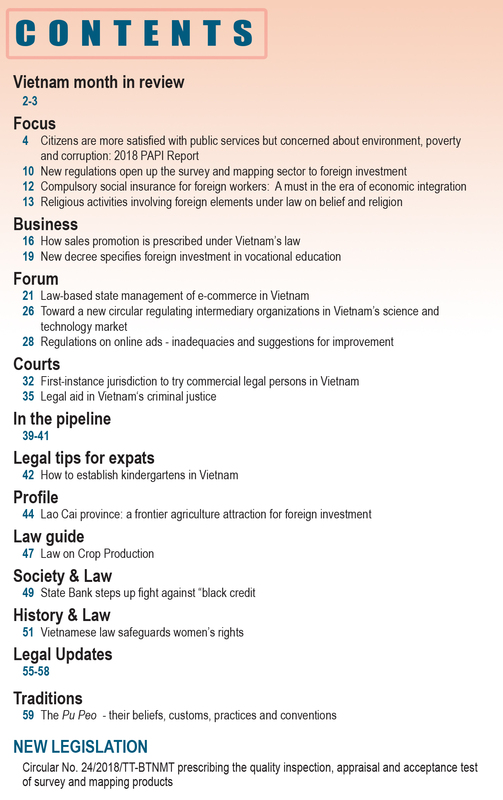 After 30 years of reform, Vietnam has become a dynamic and internationally integrated economy, with trade ties with more than 200 countries and territories around the world. The country has signed and negotiated for 16 bilateral and multilateral trade deals with nearly 60 partners, including world powers. In the coming time, Vietnam will continue reforming comprehensively and integrating more deeply into the world, raising its competitiveness for rapid and sustainable growth, he said, adding that Vietnam will give optimal conditions for foreign investors, including those from Japan, to become successful in Vietnam. Vietnam welcomes Japanese firms to invest in areas of Japan’s strengths such as high technology, infrastructure building, smart city, supporting industry, hi-tech agriculture, business restructuring, and green and renewable energy, as well as prioritized areas stated in the Vietnam’s industrialization strategy, stated the PM. He underlined that the joining of the CPTPP showed Vietnam’s strong commitments to continued reform, regional and international integration, and active engagement in sharing regional economic cooperation and connection frameworks for peace, prosperity and inclusive growth in the Asia-Pacific region, while opening up great chances for economic-trade cooperation with many important partners, including Japan. 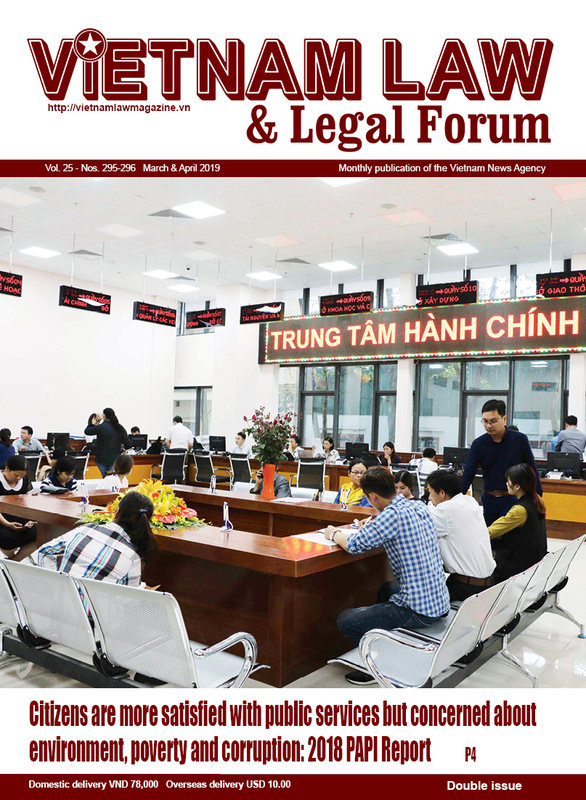 CPTPP, a new generation free trade area of high quality, balanced interests will be a motivation for Vietnam to continue strengthening reform, completing legal system, improving business environment and raising competitiveness, contributing to fulfilling all socio-economic targets. Vietnam is striving to become one of the first six countries to ratify the deal, he said, revealing that the National Assembly will consider approving the agreement at its sixth session in October and November this year. Vietnam welcomes the expansion of the deal, he added. Regarding the East Sea issue, he affirmed that the sea plays an important role in international trade, while serving as an existence and development space of coastal states. Countries in and outside the region have implemented bilateral and multilateral cooperation activities in various fields in order to maintain peace and stability in the area, he said, adding that relevant countries have also worked together to seek peaceful measures to deal with disputes and differences. 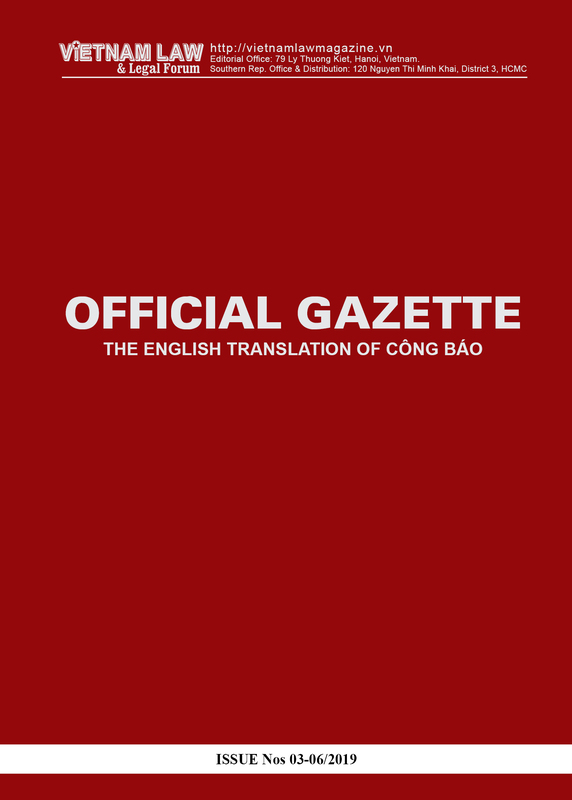 However, over the past years, the East Sea situation has witnessed many complicated developments, worrying the international community and requiring all parties to strictly abide by international law, show willingness, exercise restraint, and not to conduct any actions that make the situation more complicated, while fully and effectively implementing the Declaration on the Conduct of Parties in the East Sea (DOC) toward the early signing of a Code of Conduct in the East Sea, he said. 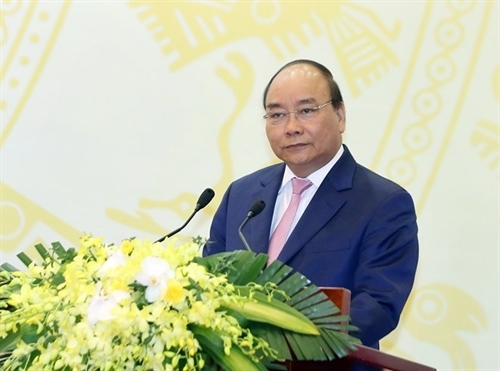 PM Phuc stressed that Vietnam shares the viewpoint of ASEAN and the international community on peacefully dealing with disputes in the East Sea in line with international law, including the UN Convention on the Law of the Sea 1982, ensuring peace, security, safety and freedom of navigation and overflight in the sea. Vietnam welcomes and shares the perspectives of Japan on the significance of diplomatic efforts for the promotion of full observance of international law and peaceful settlement of disputes, he declared.